If not, you may want to consider using protein powder. Powders make it easier to get more protein compared to eating meat, chicken or eggs. Depending on the brand you buy, they’re often cholesterol and fat-free or, have much less fat and cholesterol than high protein foods. They come out cheaper than if you had to buy the same amount of protein with food. They’re quick and easy make and drink. 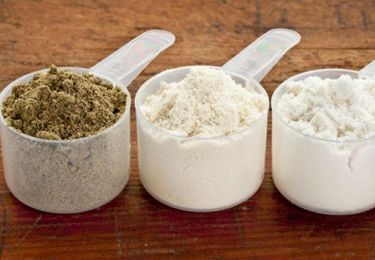 In this article, we explain the types of protein powder: what they are and the different types available. The USDA (United States Department of Agriculture) recommends that we get 0.8 grams of protein for every kilogram of body weight. This amount ensures that you get enough of the nutrients and amino acids contained in protein such as meats, chicken, fish and some plant sources. Because it’s not always easy for everyone to get enough protein in their diets, protein powders have become a popular way to supplement one’s daily intake. This is especially true for vegan and non-meat eaters or those looking to bulk up, whereby a lot more than the recommended daily intake above is needed. Get your weight in kilograms (kg). If you’re used to weighing yourself in pounds (lbs. ), then divide this figure by 2.2 to get the kg equivalent. Now all you need to do is multiply the kg figure by 0.8. For example, someone weighing 150 lbs. weights approximately 68 kg. That’s 150 lbs. divided by 2.2 = 68.18 kg. Multiply 68 kg by 0.8. This gives us 54.4 grams of protein per day. Note that this is the minimum amount. Depending on your activity level, amount of muscle mass, your age and health you’ll need to make some adjustments. Protein powders are a good way to supplement your dietary intake. They help you reach your daily protein targets without spending all day eating. Often used to help with gaining lean muscle and losing fat, scanning through the supplement aisle can be intimidating as there are so many types of protein powders available. So which one is for you, and what’s the difference between the different kinds of protein powder? We get into each one of them here and explain how one differs from another and when one becomes more practical to use compared to the rest. Below, we describe the different kinds of protein powder you’re likely to find in the nutrition store. You’ll quickly realize that not all protein powders are created equal and each has its own pros and cons. Our list of protein powders start off with those that are derived from animal sources of protein, which are the most popular and offer higher quality protein. For those who are looking for dairy free and meat free options, the second section covers plant based protein powders. Whey protein is the most popular type of protein powder in the market. It is a form of complete protein, which means you get all the 9 essential amino acids that the body isn’t able to produce. 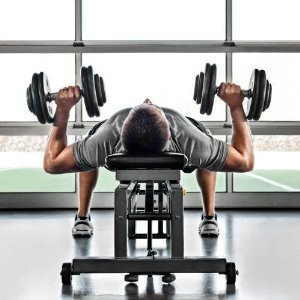 What makes whey protein enticing for bodybuilding as well as for weight loss is that it is absorbed fairly quickly by the body, making it a good option for pre-workout and post workout. It also offers the highest quality protein compared to other types of protein in powder from. For beginners and those on a budget, whey protein offers an inexpensive way to supplement their dietary protein sources. It has been shown to be effective for gaining lean muscle as well as fat loss. Plus, it is also the best tasting among the protein powders. There are a lot of flavors offered from including vanilla, chocolate strawberry and others. If you want less flavoring there are also unflavored options. Whey protein is comes from milk. 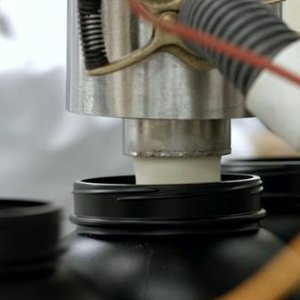 It is the liquid part of milk that’s separated during the process of making cheese. To give you a better idea, whey is the liquid that you see on top of yogurt when you open the cup. The powder is produced by a series of steps that process the whey. This gives you the powder in tub form that is easily mixed with shakes. Because it comes from dairy, it also contains lactose which can cause gut and digestive issues if you happen to be lactose intolerant. There are a number of lactose free whey proteins available so all is not lost, but you do need to carefully read the label to find them. When you look at whey protein on store shelves you’ll notice that there are a number of different types. The types are classified according to how much processing and filtration has been done to get the highest concentration of protein. Whey concentrate is the first result of that processing. It is the most economical in terms of the different types of whey protein on a per gram basis. This type of whey protein contains around 70% to 85% protein by weight. This means that if you take 10 grams of whey concentrate, you can get between 7 grams and 8.5 grams of active protein. Whether you get 7 grams or 8.5 grams will depend on the manufacturer, so reading the label is important because it can vary a bit. The remaining 15% to 30% is made by of fat and carbohydrates. Because it isn’t filtered as much, concentrate also contains more lactose than isolate (see below). Whey isolate goes a step further in processing the whey to get the most protein out of it. This gives it a much higher concentration of protein, at least 90%. Again, depending on the brand you pick up, it can go up to as much as 95% pure protein. 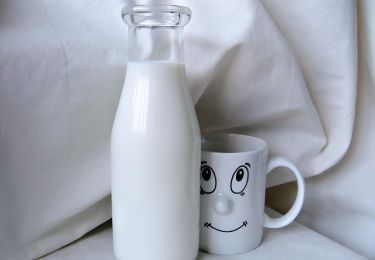 The treatment process also gets rid of most of the lactose making it easier to tolerate even if you’re lactose intolerant. Many are lactose free as well. Because of the higher protein content, you also get less fat and carbs. This makes it a better choice if your goal is to gain lean muscle or cut fat. An extra bonus of the fewer carbohydrate and fat content also means the protein is absorbed faster than concentrate because there are less fat and carbs to compete with the protein for the body’s absorption. The drawback to this is that it does cost more than concentrate. This type of whey protein is processed even further, breaking down the longer protein chains to make them quicker and easier for the body to absorb. Hydrolyzed protein is the fastest in terms of absorption. While it is the purest form of protein, it is however, also more expensive than concentrate and isolate. Casein, like whey, also comes from milk. In fact, it the main type of protein in milk, accounting for 80% of protein, while whey makes up the other 20%. 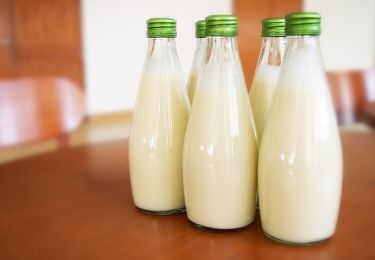 Casein is produced when the liquid portion of milk is separated. This type of protein is very similar to whey in that it offers a complete protein source to supplement your needs or act as a meal replacement. This way you don’t find yourself eating too many times throughout the day. The one major difference between casein and whey is that casein absorbs much more slowly compared to whey. It takes around 5 to 7 hours to fully be broken down by the body. This property makes is ideal if you want something that will leave you feeling full longer or to take before bed. The slow absorption rate allows for a gradual release over a longer period of time. One other benefit of casein is that it is rich in glutamine. Glutamine helps increase the rate of muscle recovery as well as strengthens our immune system. The drawback with casein is, because of its slow absorption rate, it isn’t a good option as a post workout supplement, where you want to get nutrients into the muscles as quickly as possible. Two other worthy notes about casein include its high calcium content which can go as high as 60% of our daily requirements per scoop of powder. And, being a byproduct of milk, it contains lactose, therefore isn’t suitable for anyone who is allergic to milk. One thing you’ll notice with casein powder, which along with higher price, also makes it a less popular option compared to whey, is that it isn’t as water soluble as whey. 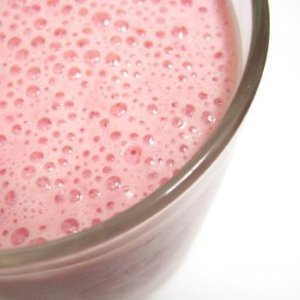 It has a much more difficult time mixing with liquids which makes it hard to use with your shake bottle or in a smoothie. Its gel forming properties though, makes it something you can use to make protein packed pudding or pastries, like muffins and cakes. This is one of its unique features. One final note on casein protein powders is that in the label, what you’ll see is calcium caseinate. This type of protein powder is made from, you guessed it, eggs. More specifically, it uses the egg whites that have been separated from the yolks. These are heat treated and dehydrated to get them into powder form, making it easy to mix with milk or water to drink. This also makes it a complete protein source that includes other nutrients that’s present in the egg whites. Egg whites were among the main sources of protein before whey came along. And it’s still a good option especially if you can’t take dairy or soy, whether because you’re allergic or due to dietary reasons, like being on Paleo. Egg whites are low in carbohydrates, low in fat and doesn’t contain any cholesterol. 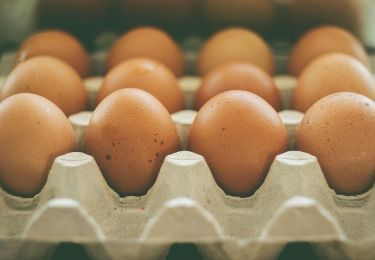 Be aware though that eggs are highly allergenic, so if you’re allergic to eggs, you won’t want to use this type of powder. In terms of absorption it lands right in between whey and casein. It’s slower than whey, but faster than casein. One final thing to note about egg protein is that is doesn’t taste too good, which is why many people prefer using whey or soy over it. This is a relatively newer option compared to the other types of protein powder on our list, especially those above. Beef protein powder, comes from beef that has been dehydrated and processed. It is a good option if you want protein coming from a non-dairy source, are allergic to egg and prefer not to use plant protein. These features have made it popular with people who are allergic to dairy, egg or soy. 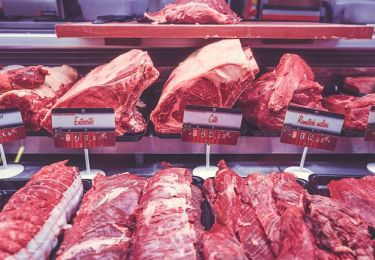 While beef contains a good amount of fat, beef protein has had the fat removed during processing which make the powders cholesterol and fat free. It also comes with creatine as beef is a natural source of this compound. The protein powders covered above are all derived from animal sources of protein. If you happen to be a non-meat, non-dairy eater, vegan or vegetarian, or have allergies to dairy or egg, then going with one of the plant protein powders below will be a more viable option. The good news is, there are a lot of different options available, including soy, pea, rice and hemp. Among them, the most popular are soy, rice and pea protein. Before getting into the specific protein powders, we take a look at the difference of animal and plant protein. When it comes to protein, animal sources are often looked at as the best sources because they contain all the 9 essential amino acids. These amino acids are needed by the body, but it isn’t able to produce them. As such, we need to get them from food or supplements. Plant protein meanwhile, are often incomplete sources of protein, with a few exceptions. This means that they have some but not all the essential amino acids. This is the reason why pairing them with other protein sources is often needed to get enough of all the 9 amino acids the body isn’t capable of producing. This means that when using plant protein powders, you likely won’t be able to rely on just one powder alone, but will need to combine them to get a complete amino acid profile. That said, plant protein powders are more digestible by the body. They also assist in fighting inflammation and help with muscle soreness. Soy protein is one of the few plant protein options that offer all essential amino acids. This makes it a complete protein source. It also makes soy protein an effective option for building and maintaining muscle, especially for vegan and vegetarians. 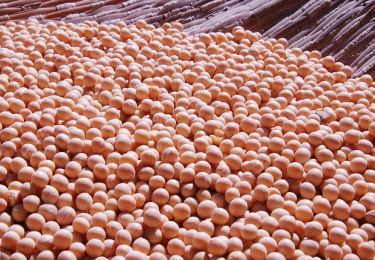 This type of protein is extracted from soy beans that have been hulled and dried. In addition to protein, it also contains glutamine, BCAAs and arginine. Glutamine and the branched chain amino acids contribute to recovery, while arginine helps with nutrition delivery to the muscles by dilating the blood vessels. Soy digests at a moderate rate which doesn’t make it a good post workout supplement. The protein is soy however can help with lowering cholesterol levels as well as regulating blood sugar and reducing the risk of cancer. This is in part due to the isoflavones found in soy. However, the same isoflavones also cause an issue for others, as these compounds can affect our hormone levels, exerting estrogen-like effects on our bodies. Hemp is another plant source of complete protein. 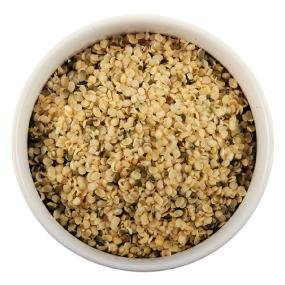 This type of protein comes from hemp seeds which is a derivative of the cannabis plant. Don’t worry though, it won’t get you high or anything like that as it’s purely cultivated as a food source. The difference in the way they’re grown and cultivated, as well as their genetics make hemp seeds safe for eating, without the psychological effects. This type of protein contains all essential amino acids, plus includes a lot of other healthy nutrients that make it a more all-around protein powder option. Hemp is high in omega 3, fiber, vitamin B that make it healthy for the heart as well as the body. The presence of these extra nutrients however, also make it less effective as a supplemental protein source, especially if your main goal is to build muscle. Compared to other types of protein, hemp seeds contain around 30% protein, which puts it behind soy, whey and a few others. There are however, more concentrated versions of hemp protein that push the protein content up, but you do lose the other healthy nutrients in the process. Hemp protein is a good choice if you’re looking for a powder that has good amounts of nutrients overall with some protein. Rice protein is derived from brown rice. And while rice is often seen as a carbohydrate, brown rice does contain some protein. That amount of protein is extracted from the rice and processed into powder form. Being made from rice, this protein is hypoallergenic and is also a good source of complex carbohydrates as well as vitamin B. It is likewise easily digested by the body and offers dietary fiber. 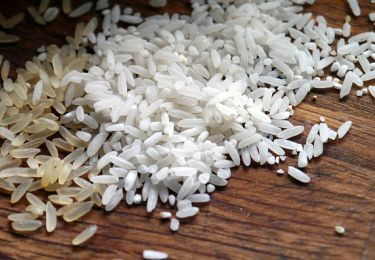 Rice however, unlike those above, is an incomplete source of protein. This means to get the entire range of essential amino acids, you’ll need to pair it up with other types of protein. This is why rice protein is often paired up with pea protein. When combined, they give you a plant based source of complete protein. Researchers observed that rice protein, as a supplement, comes close to whey protein. This led them to conclude that there were no difference between the improvements in body composition and performance between participants who used whey protein and those who used rice protein isolate. Pea protein is dairy free making it suitable for anyone with lactose intolerance. It also has no cholesterol or fat and is gluten free as well. It is an easily digestible source of protein that comes from yellow split peas. Pea protein is also an affordable option that has protein levels that match up to whey and casein. However, what makes pea protein a lower quality source of protein is that it isn’t a complete source of amino acids, which means it needs to be paired up with other proteins in order to get a complete profile. This is why pea protein is often paired up with rice protein. 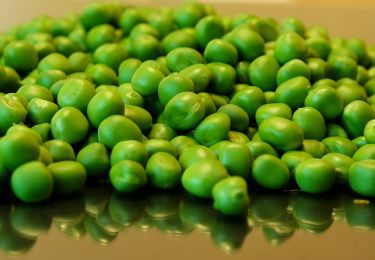 Consuming pea with rice protein completes your essential amino acid intake. This powder comes in a fluffy form and has a mild sweet taste that’s pleasant. It also doesn’t contain many added ingredients. The basic difference when it comes to the types of protein powders is what they’re derived from. Some are from dairy products like milk and eggs, while others are from plant sources. Ultimately, the protein you get comes with properties of where they were derived from. For this reason most people prefer going with whey protein because it offers the combination of high quality protein, affordability and taste. If you’re vegan or vegetarian however, you can opt for soy protein, or a combination of rice and pea protein. Today’s powders offer everything from gluten free to lactose free to different kinds of flavors. Choosing the protein powder for you really depends on your dietary restrictions, if any, your budget as well as what your fitness goals are.